(TRR) Linkin Park vocalist Chester Bennington died on Friday, merely days before the band was set to embark on a massive world tour. Their latest album One More Light debuted at #1 on the Billboard Top 200. Another success in the storied career of Linkin Park. Most will remember Chester’s vocals in the revolutionary act, but his contributions to other projects are no less significant. 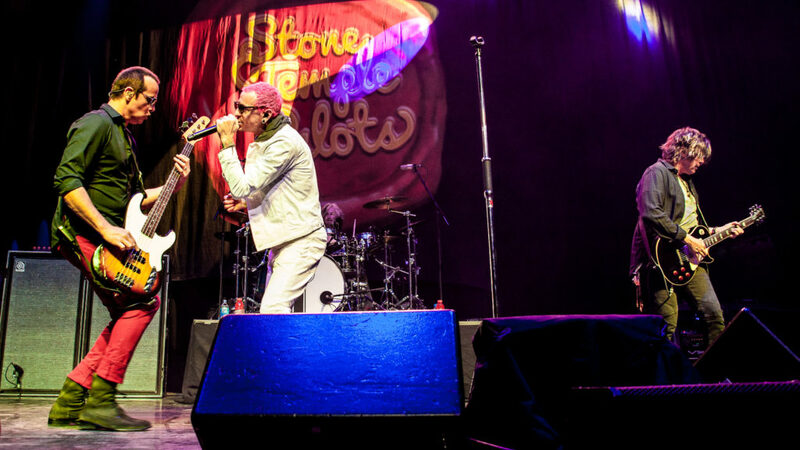 In May 2013, Stone Temple Pilots tapped Bennington to handle lead vocals for their world tour that would stretch into 2015. In February, the band had fired original singer Scott Weiland. 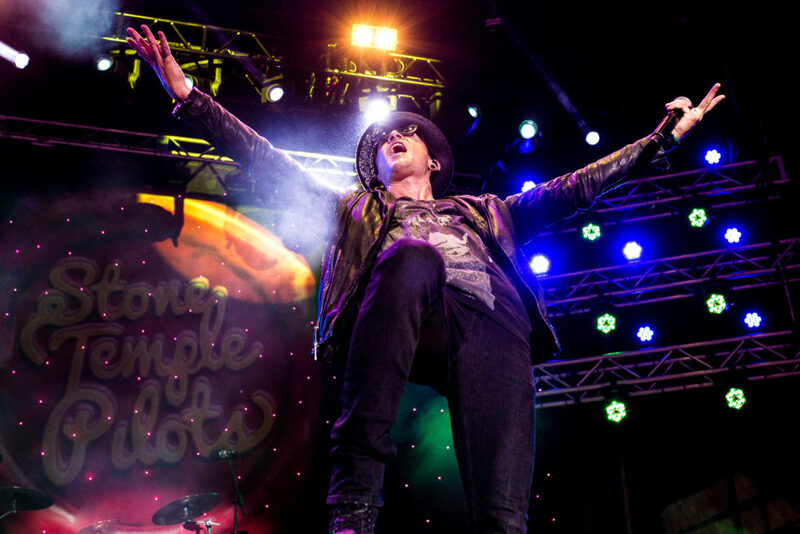 Weiland proceeded to go on tour with his solo band, and STP debuted with Chester at KROQ’s Weenie Roast in Los Angeles. 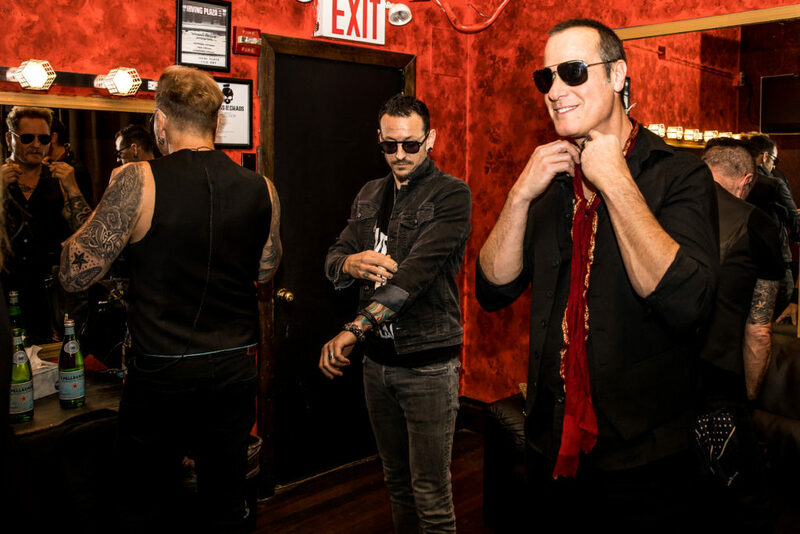 Stone Temple Pilots hadn’t toured since 2011, but geared up for a huge run behind their high-octane new single “Out of Time” which was their first record with Bennington behind the mic. 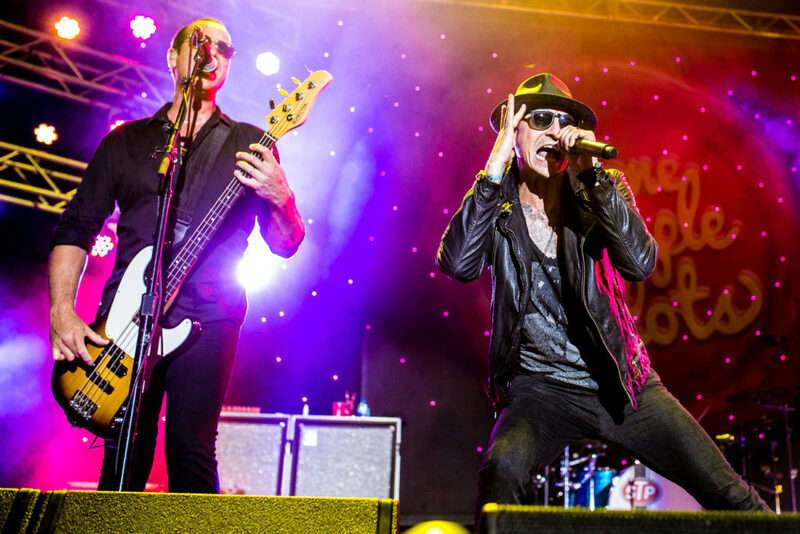 In September 2013, the group’s tour kicked off at the Sands Event Center in Bethlehem, PA. Bassist Robert DeLeo sat down with The Rock Revival for an exclusive interview, in which he discussed the band’s collaboration with Chester Bennington. Later that evening as Stone Temple Pilots walked out on-stage for the first time on this tour, one of those epic and rare music moments occurred. The band ripped into the ultra-heavy into riff of “Down”. Chester took the mic, and as he sang the very first line of the very first song of the band’s very first tour with their new line-up – “Pleased to meet you.” Guitarist Dean DeLeo simultaneously pointed at Chester, as if to formally introduce him as the new voice of Stone Temple Pilots. In December 2015, original Stone Temple Pilots singer Scott Weiland died on his tour bus in the midst of a solo trek. 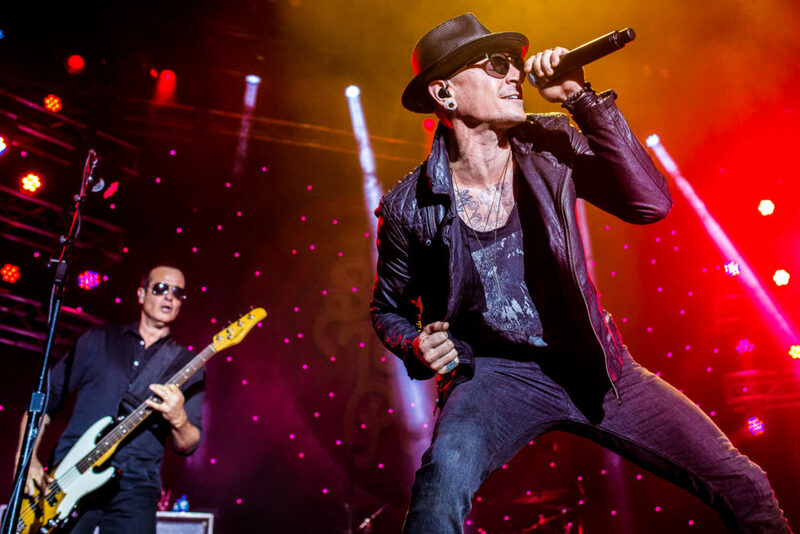 While STP have been searching for a new vocalist organically, Bennington’s passing is still another difficult ordeal for the veteran rock outfit. They join bands like Metallica and Avenged Sevenfold who have one position that just can’t seem to stay filled. Hopefully, they will find life again as they embark on their next chapter. Tagged chester bennington, interview, Linkin Park, Robert DeLeo, Stone Temple Pilots.